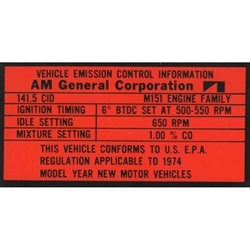 M151A2 Valve cover Emissions Decal. These are used on 1974 and later jeeps with the charcoal canister. We also offert the earlier version dated 1972.